Anyone who has children knows how much kids love love love learning about the farm… farm animals, farm equipment, living on a farm. These fun farm board books for kids are sure to be a hit! Come on… how many hours can kids spend making farm animal sounds? You’ll end up reading these over and over. 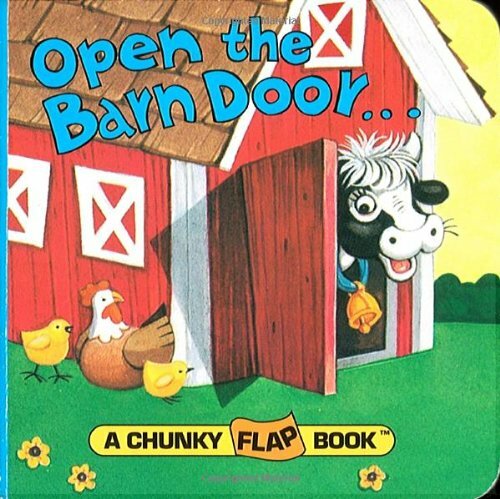 By far, our personal favorite is Big Red Barn and Click Clack Moo… we went through multiple copies of both books. In addition to offering recommendations for farm books, I’ve teamed up with some fellow bloggers to offer you homeschool and in-class resources to teach kids about farms! You can find these fun farm board books for kids at your local library or purchase through the affiliate links provided for your convenience. 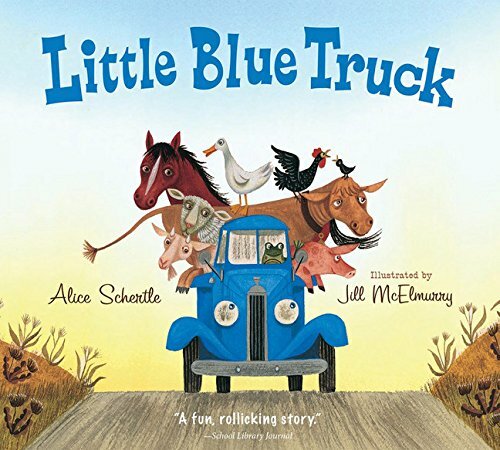 Little Blue Truck board book: Beep! Beep! Beep! Meet Blue. A muddy country road is no match for this little pick up–that is, until he gets stuck while pushing a dump truck out of the muck. Luckily, Blue has made a pack of farm animal friends along his route. And they’re willing to do whatever it takes to get their pal back on the road. With a text full of truck sounds and animal noises to read aloud, here is a rollicking homage to the power of friendship and the rewards of helping others. 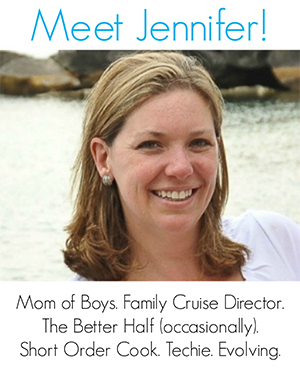 Includes a downloadable party kit for even more fun! Barnyard Dance! (Boynton on Board): Everybody sing along—because it’s time to do-si-do in the barnyard with a high-spirited animal crew! 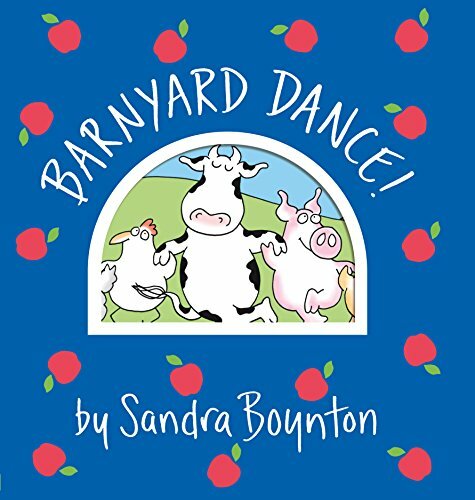 From Boynton on Board, the bestselling series of board books, here is BARNYARD DANCE, with Sandra Boynton’s twirling pigs, fiddle-playing cows, and other unforgettable animals. Extra-big, extra-fat, and extra-fun, BARNYARD DANCE features lively rhyming text and a die-cut cover that reveals the wacky characters inside. Guaranteed to get kids and adults stomping their feet. The “Barnyard Dance! song, performed by John Stey, is available for download. 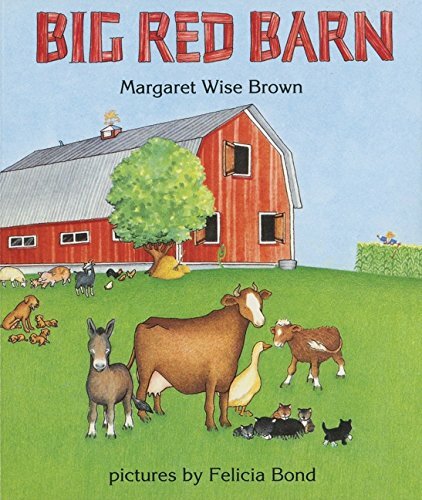 Big Red Barn: Margaret Wise Brown’s simple, rhythmic text about the cycle of a day on a farm, where a family of animals peacefully plays and sleeps, has charmed generations of children. This board book edition features sturdy pages and is just the right size for toddlers. As in her classic Goodnight Moon, Brown engages children and helps settle them down for sleep as they follow along with the animals from morning to night in the barnyard. Spot Goes to the Farm: Toddlers love baby animals. So does Spot! 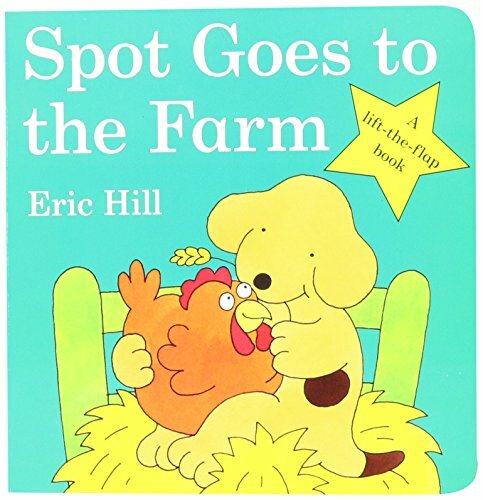 Join Spot as he visits his dad, working on the farm, and help Spot look for baby animals. Animal sounds pique Spot’s curiosity, and lift-the-flaps reveal who is underneath. After an adventurous search for baby animals, Spot finally finds a litter of kittens. 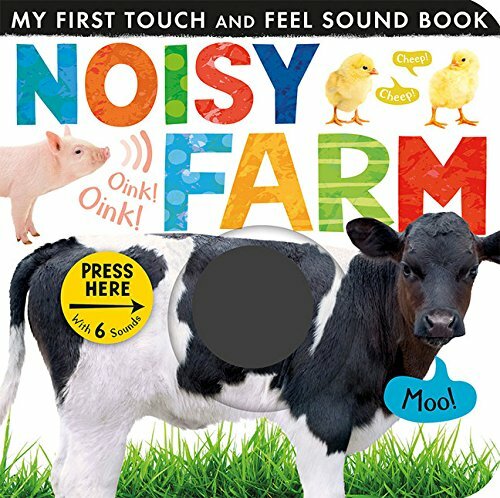 Noisy Farm (My First Touch and Feel Sound Book): Touch, feel, and hear the animals on every page of this sturdy board book. Engaging photographs and appealing textures encourage young readers to explore the exciting world of farm animals. Touch and Feel: Farm (Touch & Feel): Spend a day at the farm with kittens, horses, chicks, and more in Touch and Feel: Farm. This classic DK board book is filled with clear photography, simple text, and fun textures. Practice animal recognition and sounds, and help your baby learn what an animal may feel when like when it’s touched. Pet a dog’s soft fur, stroke a baby chick, and tickle a soft kitten on sturdy and tactile board pages that are perfect for small hands. 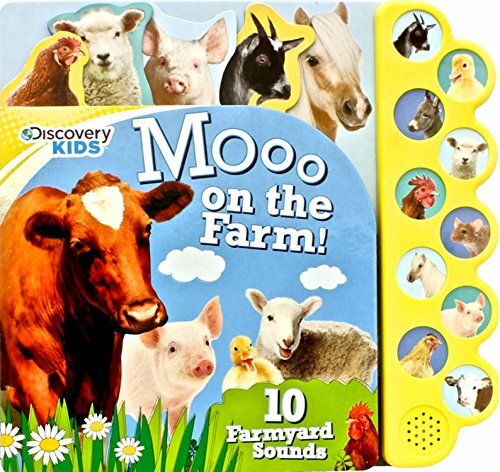 Discovery Kids Moo on the Farm (Discovery 10 Button): With 10 cool sound buttons, fun facts, full-color pictures and much more, this Discovery Kids sound-and-reference book is a unique way for kids to learn about life on the farm! Kids ages 2 and up will love matching the sounds to the animals in this vibrant and interactive book. Open the Barn Door: Spend a day on the farm and explore all the animal sights and sounds! Featuring 12 lift-the-flaps and a variety of barnyard favorites, including horses, chickens, cows, and pigs, this board book is a fun-filled introduction to life on the farm. 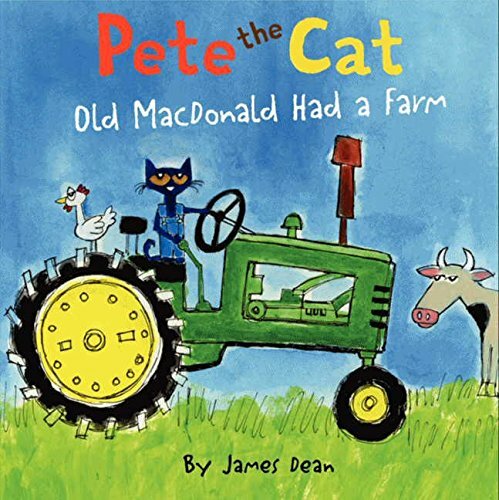 Pete the Cat: Old MacDonald Had a Farm: Join Pete, from New York Times bestselling author James Dean’s Pete the Cat picture-book series, as he visits a farm in this groovy version of the classic children’s song “Old MacDonald Had a Farm.” Children will love singing along—e-i-e-i-o!—with Pete the Cat. 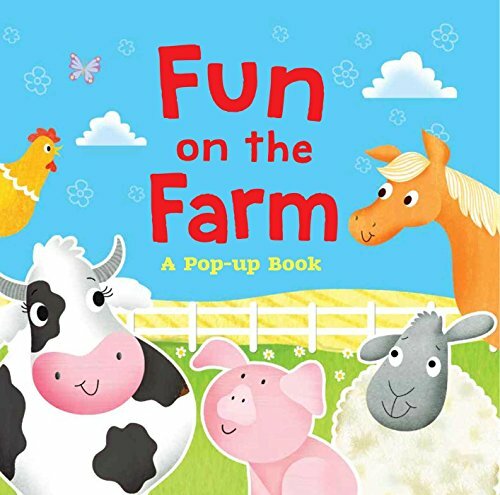 Fun on the Farm: A Pop-up Book: Fun on the Farm follows Mommy Cow as she tries to find Little Calf with some help from her farmyard friends. Kids will love opening the flaps to reveal a 3D pop-up scene! There are five giant flaps and five pop-ups total, and kids will lift the flaps to find Hen, Pig, Sheep, and Horse before finding Little Calf! 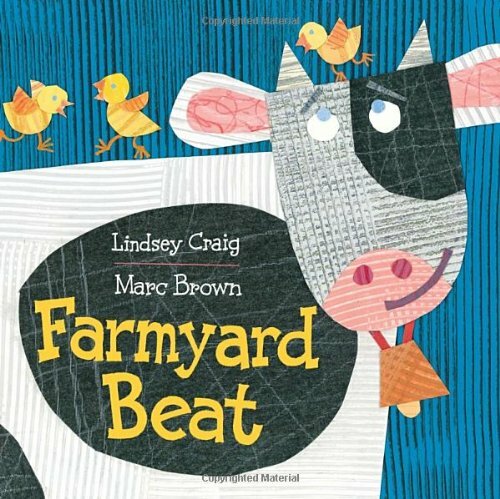 Farmyard Beat: Author Lindsey Craig teams up with Arthur creator and bestselling artist Marc Brown in a toe-tapping farmyard dance-a-thon–perfect for toddler and preschooler read-alouds. As soon as the sun goes down, the animals are up! (“Sheep can’t sleep. Sheep can’t sleep. Sheep can’t sleep ’cause they got that beat!”) Before long, there’s a giant farmyard dance party, complete with funny animal sounds. But what happens when all the racket wakes up Farmer Sue? Here’s a colorful bedtime story that begs to be read aloud. 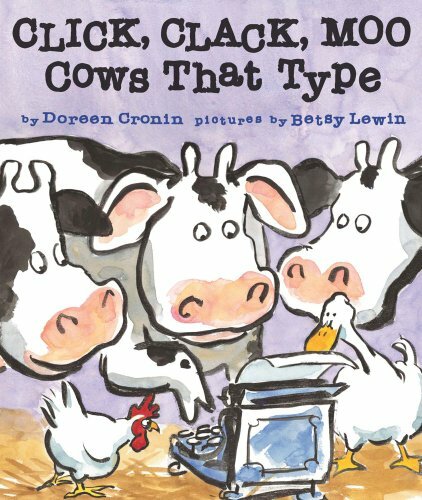 Click, Clack, Moo: Cows That Type (A Click, Clack Book): The quirky, hilarious farmyard tale that started it all, from the New York Times bestselling duo of Doreen Cronin and Betsy Lewin! Farmer Brown’s problems REALLY begin when his cows start leaving him notes…. Doreen Cronin’s understated text and Betsy Lewin’s expressive illustrations make the most of this hilarious situation. Come join the fun as a bunch of literate cows turn Farmer Brown’s farm upside down. Night Night, Farm: Moo moo, cows! Baa baa, sheep! When the sun sinks low down on the farm, the animals are all tuckered out from the day’s adventures. 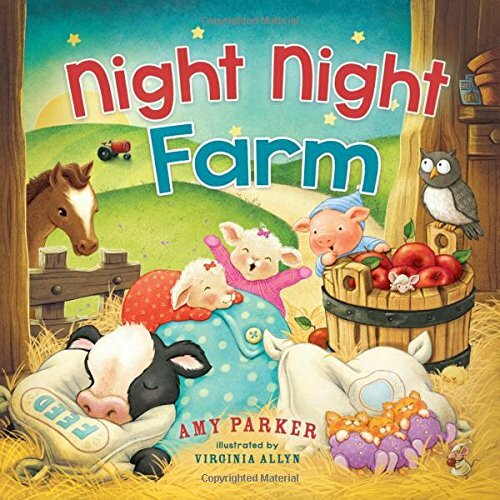 Join these adorable farm animals in pajamas as they say night night to the farm, to their mommies and daddies, and to God. Your little ones will sleep until the rooster crows knowing that the God who made them loves them too. Night night, farm! Like these farm board books? Find even more engaging book lists for kids with more than 100 book-themed reading lists! 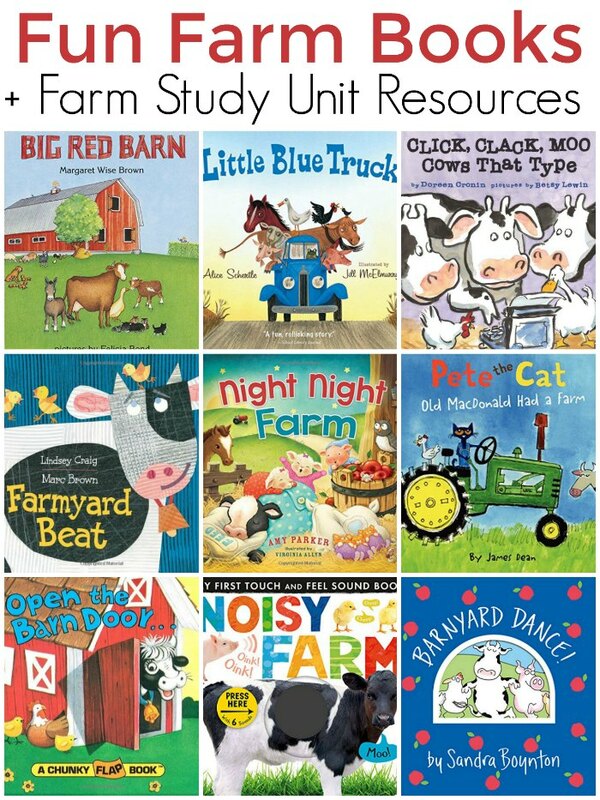 In addition to offering recommendations for farm board books, I’ve teamed up with some fellow bloggers to offer you homeschool and in-class resources to teach kids about farms! 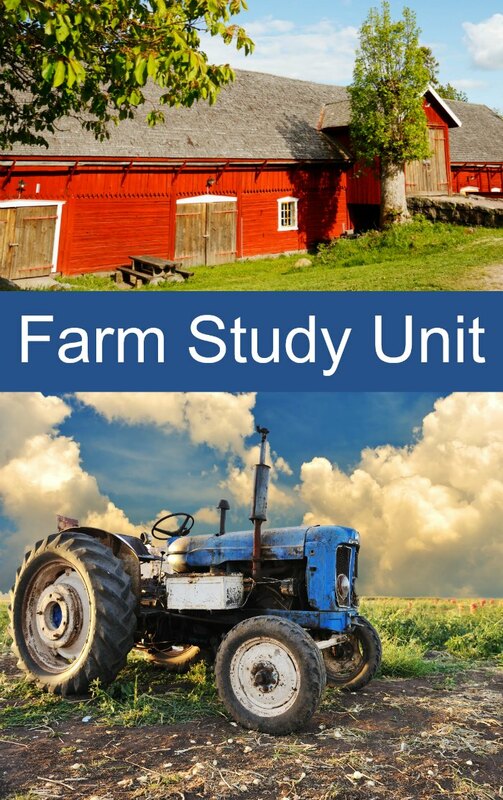 Some unit study resources may contain affiliate links.